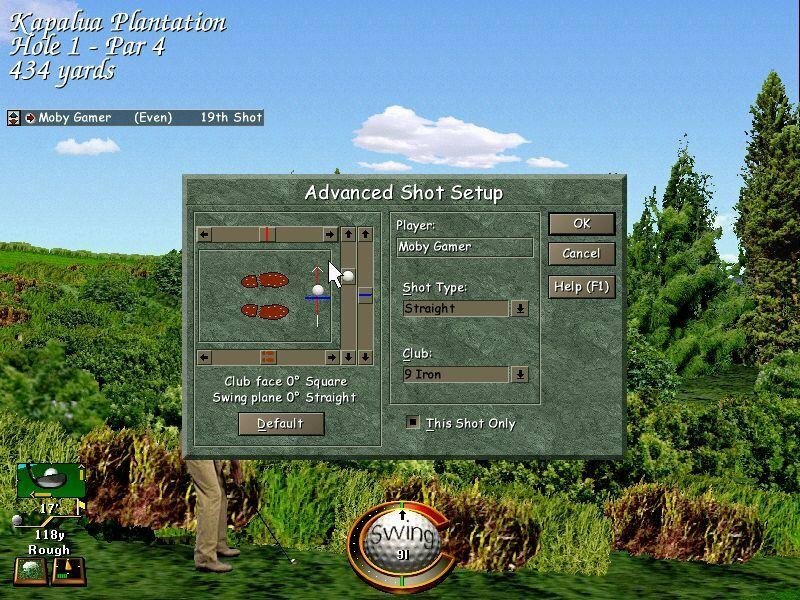 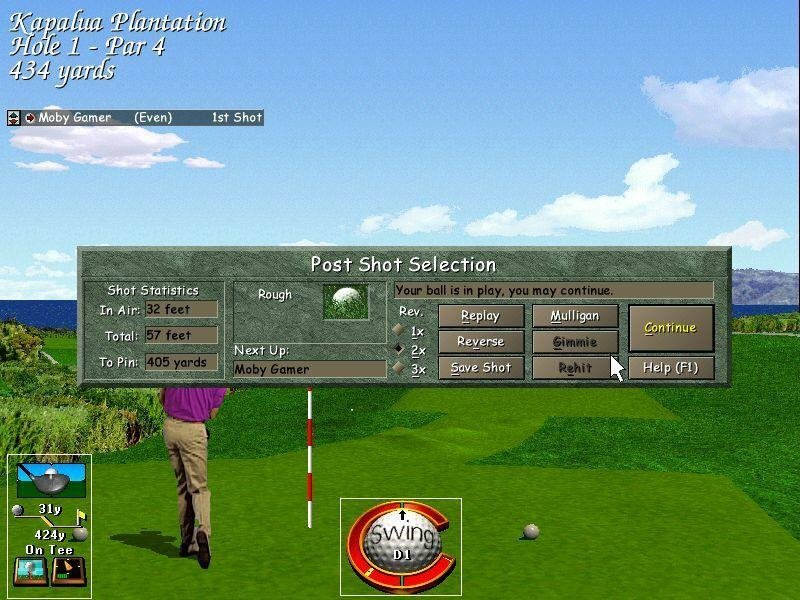 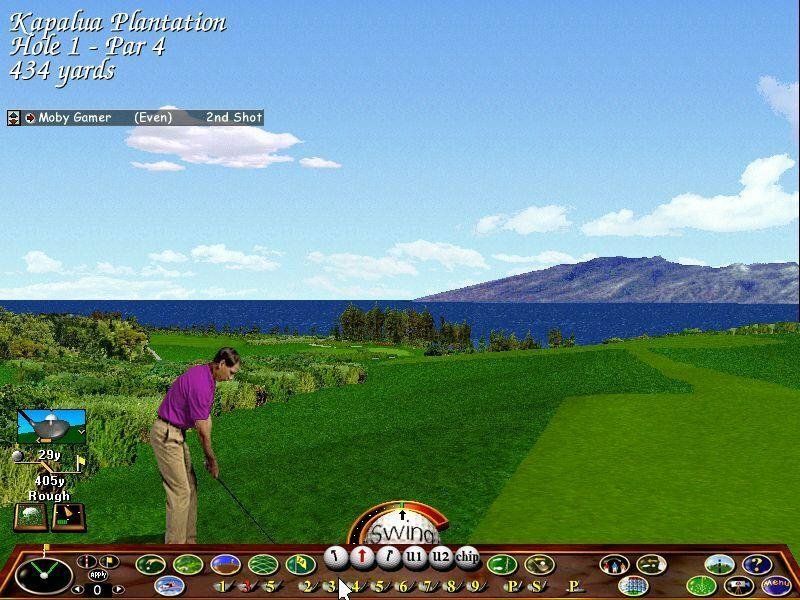 In line with other Links golf games, Links LS 98 is impressive. If you have never played Links before, you will be amazed at the overall attention to detail that Access lavishes on its golf sims. 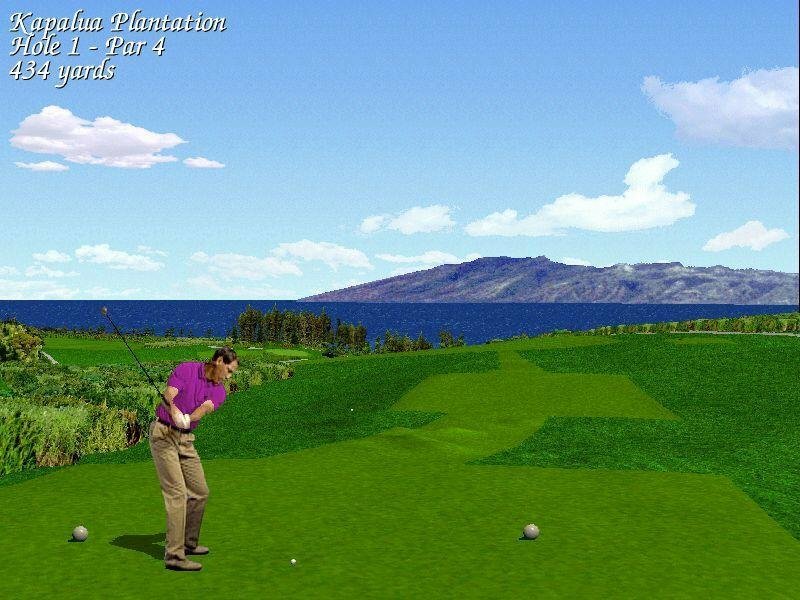 The series has always had the best graphics at the time, and LS 98 once again raises the stakes. 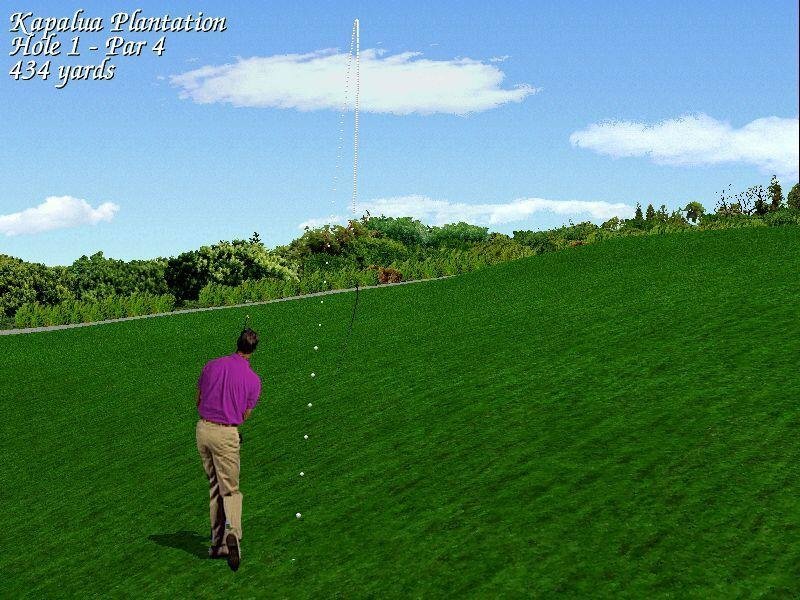 Most importantly, the new “look ahead” rendering feature has been added in LS 98 to speed up the screen redraw between shots. 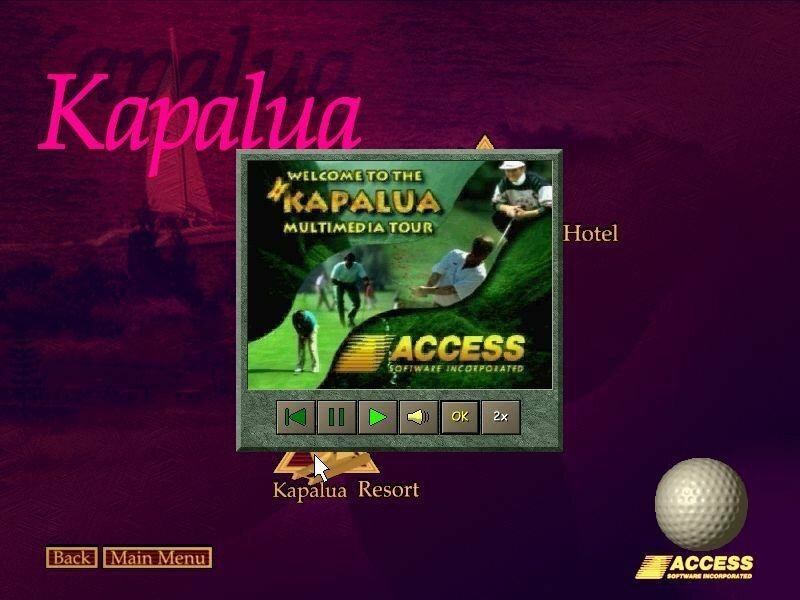 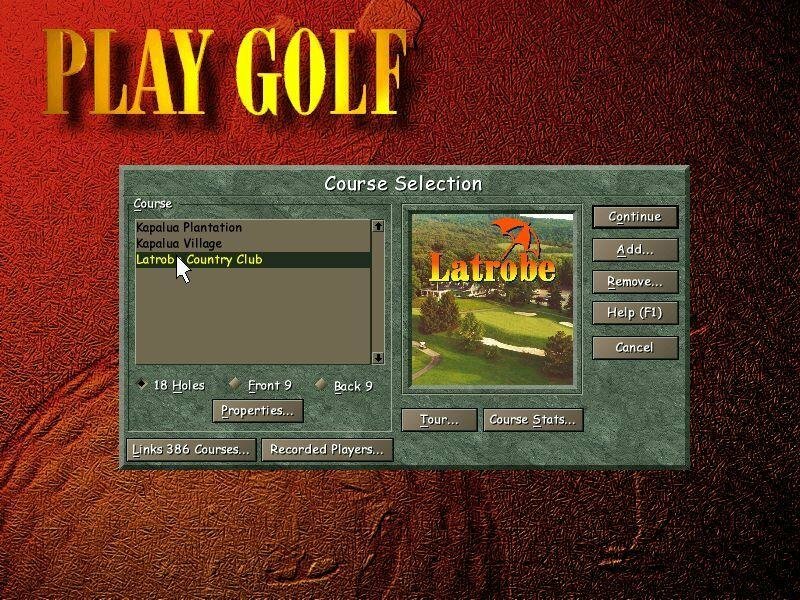 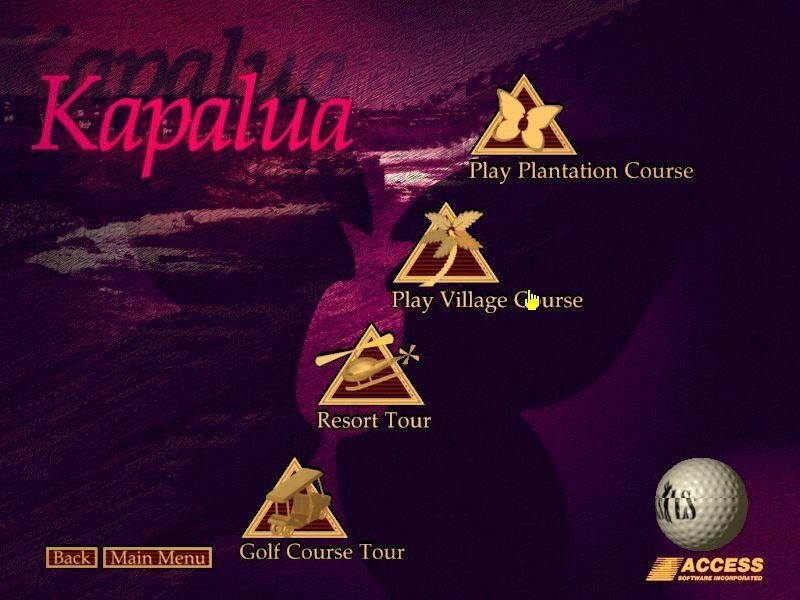 As far as gameplay, LS 98 includes a new tournament mode, similar to that offered by PGA Tour Pro, in which you can play a full, multi-round tournament (including cuts) against a field of men, women, or even mixed pros. 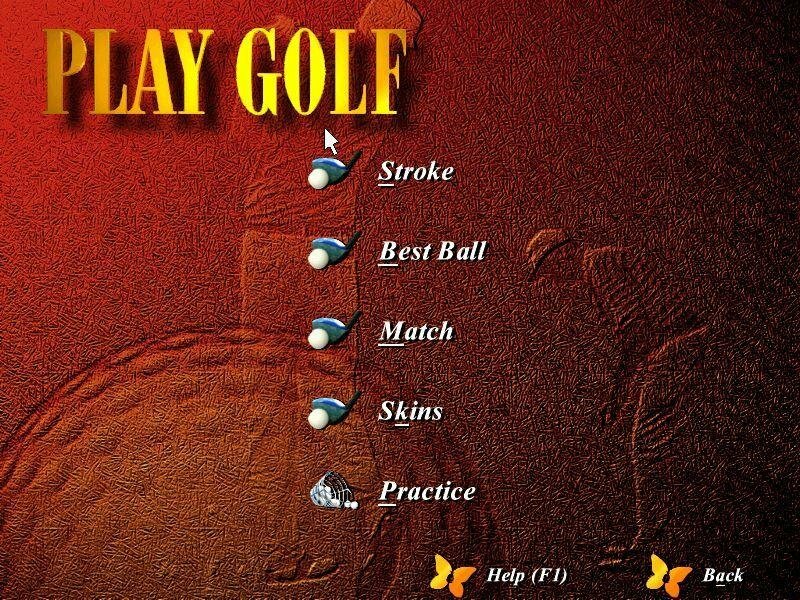 While it is fun to see how you do against a leaderboard that includes Tiger Woods and Greg Norman, the inability to set individual skill levels for the pros reduces it to a bit of a random number generator. 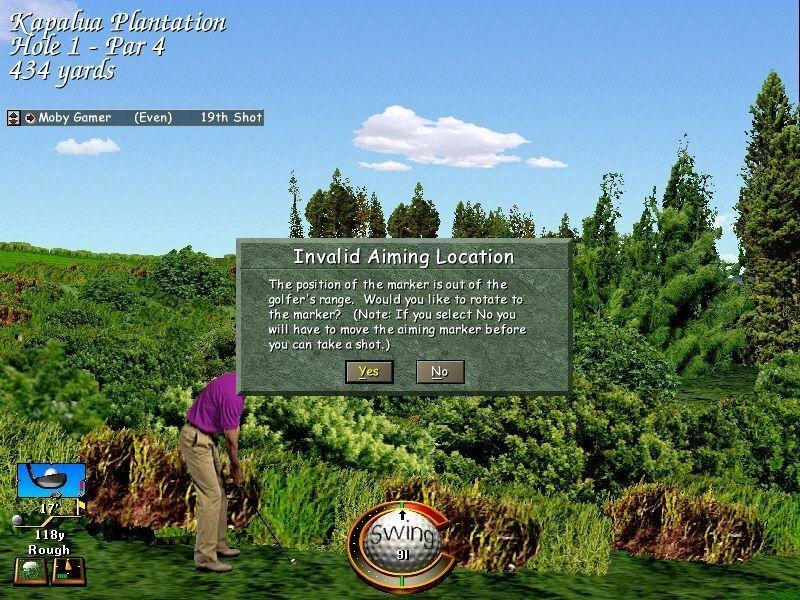 Still, knowing that you must make a 20 foot putt on the 18th green to make the cut adds some tension to the game. 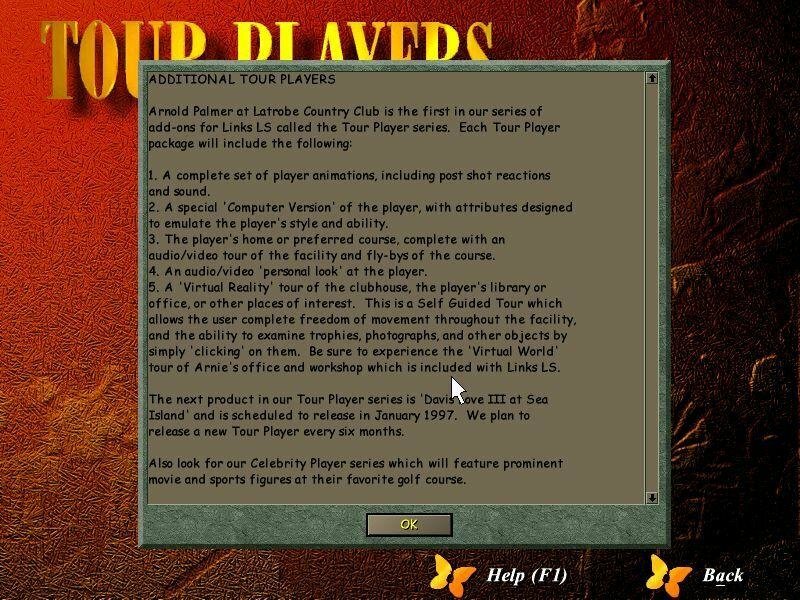 But outside of the graphics and the tournament mode, there aren’t great changes here from past generation Links games, which is fine, as there really aren’t any fatal flaws with LS 98.